Bees flock mainly to blue and yellow flowers for nectar and to pollinate, since bees can only see the colors of yellow, blue and ultraviolet. More than 4,000 bee species live in the U.S., according to the U.S. Forest Service. 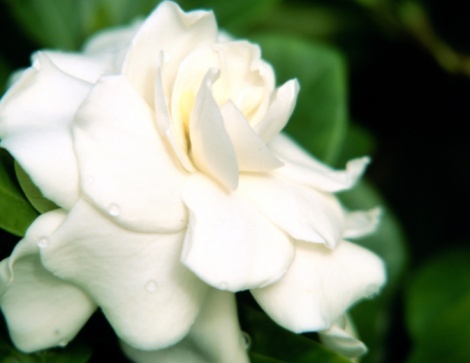 Certain flowers repel bees by specifically attracting other means of pollination or by producing odors bees do not like. Planting bee-repelling flowers helps if you have bee allergies but want to make certain other pollinators hang around, such as butterflies and hummingbirds. Only the adult orchard oriole bird can open Erythrina flowers for nectar. Certain species of penstemon flowers, native to eastern Asia and North America, evolved to attract hummingbirds to their nectar instead of bees by mimicking the shape of the hummingbird's bill. The bright red penstemon flower lures hummingbirds with its long, narrow shape, and the hummingbirds feed and pollinate each flower. Some penstemon flowers grow small yellow or blue flowers, which are easily accessible by bees. 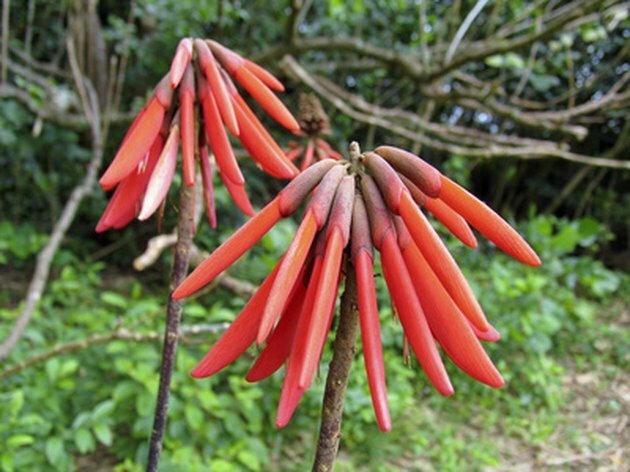 The Erythrina fusca tree, growing mostly in South America, Africa and Asia, and the orchard oriole have evolved to work together to pollinate the tree. For example, only the adult orchard oriole birds can open the flowers of the E. fusca to receive the nectar and pollen. Other birds can only get nectar by feeding after the orioles have fed or by stealing nectar after piercing the flower. Adult male orchard orioles have a black and burnt orange color, matching a hidden part of the E. fusca flower. In turn, the E. fusca plants flower only when in the presence of the most orchard orioles. The largest bees cannot access the nectar of the E. fusca. Feverfew produces white flowers that look like daisies, making it a decorative plant for flower arrangements as well as a medicinal one when dried. Dried feverfew soothes migraines and repels moths. The name "feverfew" originates from the Latin name "fetrifugia," which means "driver-out of fevers." Feverfew has a strong, pungent odor that repels bees. Avoid growing feverfew among flowers that need pollination. What Are Bumble Bees Attracted To? Why Do Moonflowers Bloom at Night?